This week: Sins of the Wreckers returns and we try to guess who will survive the Dying of the Light. Spoilers ahead for SotW #4 and MTMTE #52! 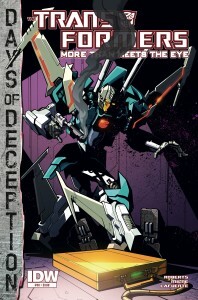 Spoilers ahoy as we talk More Than Meets the Eye #51! The Elegant Chaos arc reaches its end here. 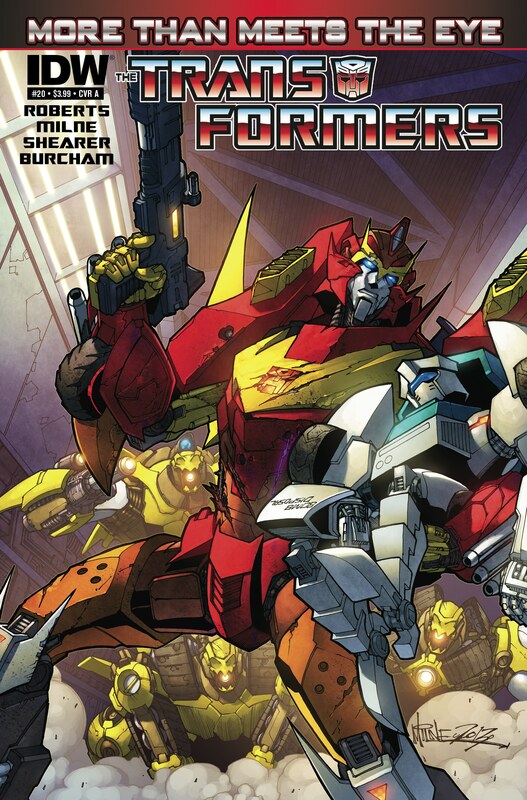 Five million years in the past Brainstorm stands before a half-finished Megatron, finger on the trigger, as Rodimus and the others rush to save reality as they know it by saving one of the universe’s greatest tyrants. 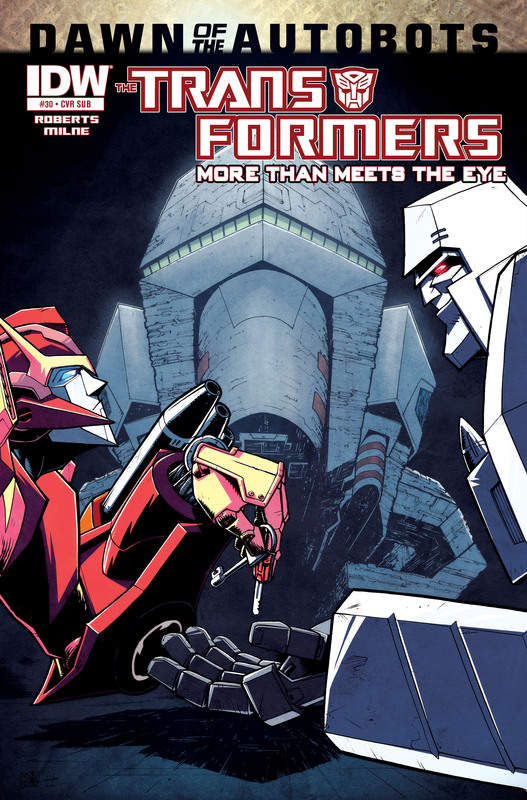 In the present Megatron, Ultra Magnus, and Perceptor can only stand by and watch as the fate of their entire timeline plays out in the past. 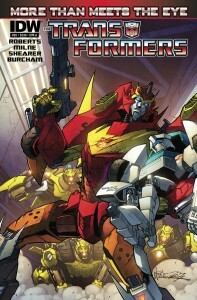 Just what is Brainstorm thinking? 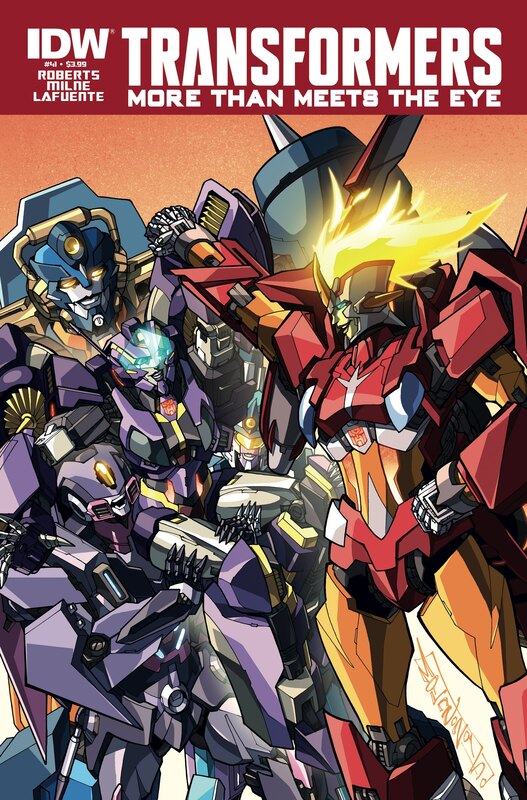 Can Rodimus’s team stop him? 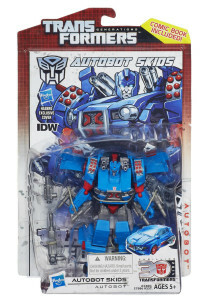 And is Megatron even worth saving? 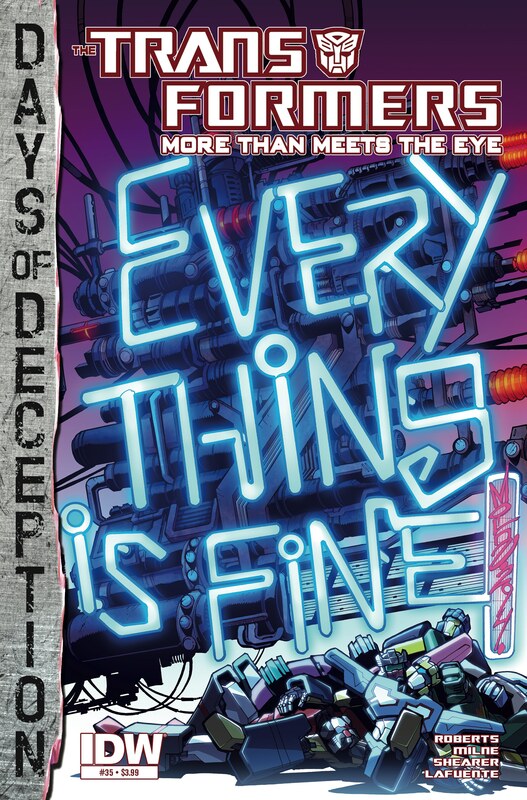 More than Meets the Eye #30 Recap – How do you solve a problem like Megatron? There’s a saying…In a lot of different languages that something that’s good is well worth waiting for. 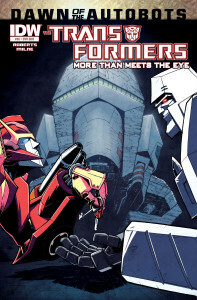 With this latest issue of More Than Meets the Eye; I was starting to doubt that. With over a month to wait for the resolution to the cliffhanger and story hooks from last issue, I was going a little loopy. 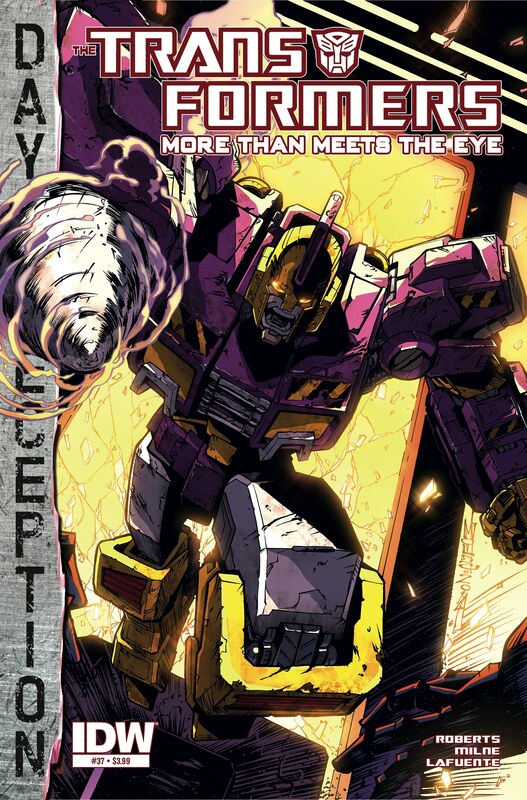 Well, the wait is finally over and here is the promised end to the first mini arc, where we would finally find out how Megatron ended up where he is right now and let me tell you, it’s made me like the character in a way I did not think possible. 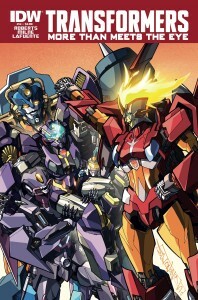 So we finally reach the end of the storyline “Remain in Light”, as well as the end of what has been referred to as Season One of More than Meets the Eye. 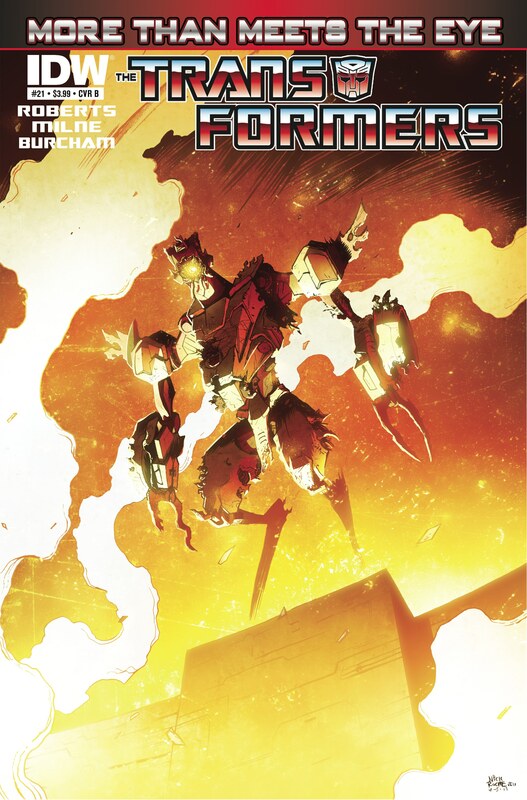 It’s time to tie up the dangling storylines and plot points that remain in a nice bow, so we can move on into the future, first into Dark Cybertron and then onward into Season Two. A bit after the last issue Roberts dropped terrifying teasing lines that urged us to say goodbye to some of the old crewmembers of the Lost Light and welcome newbies that would replace them. With the cliffhanger from last issue, that statement filled me with nothing but dread.